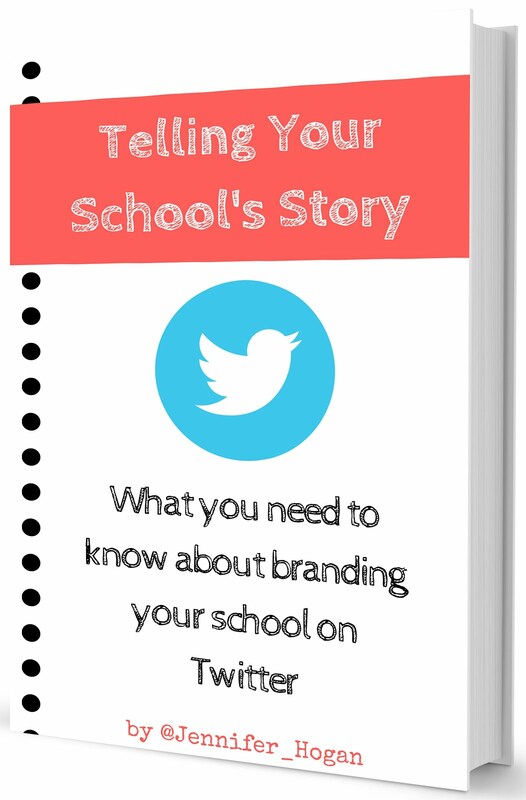 Sometimes, I like to tell stories. Sometimes I like to get straight to the point. Today's post is one of the latter. Apologies show that you acknowledge that you made an error. 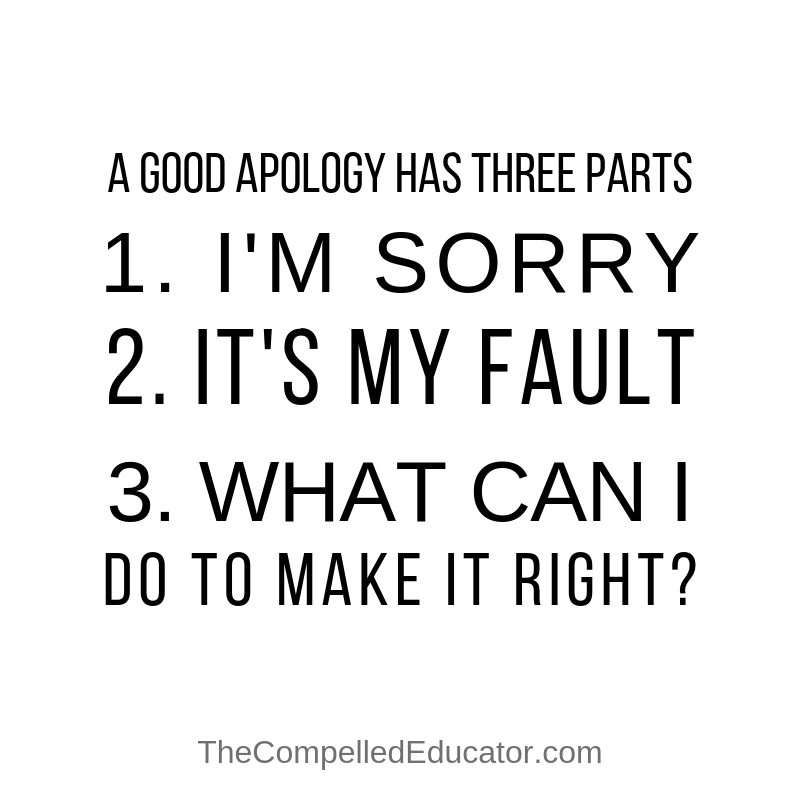 Apologizing shows that you take responsibility for your behavior. It shows remorse for behavior that may have hurt another person. 1. Get straight to the point. 2. Don't use the word but, such as "I'm sorry, but ___________." I'm terribly sorry for __________. How can I make this right? I apologize for what I said earlier. I'm really sorry. I heard what happened. I'm sorry. 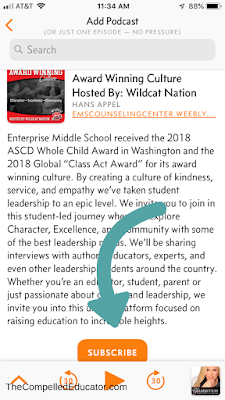 What if you don't apologize? 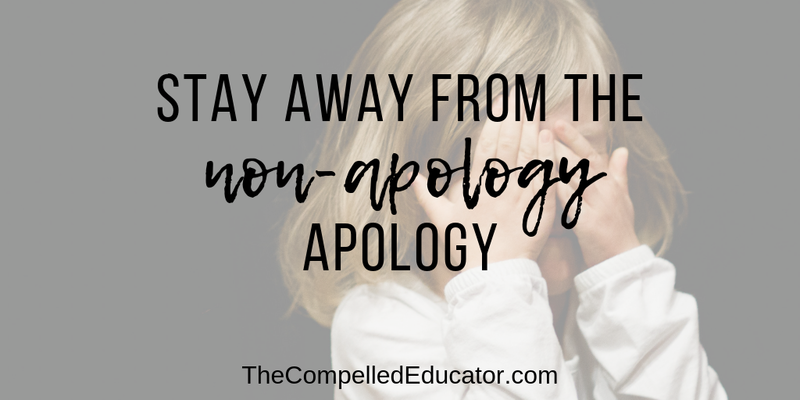 When you don't apologize, you run the risk of damaging relationships. Hurt feelings can grow, creating chasms that may not fully be restored. Trust is broken, and your reputation may suffer. No one likes making mistakes, especially ones that may hurt someone else. 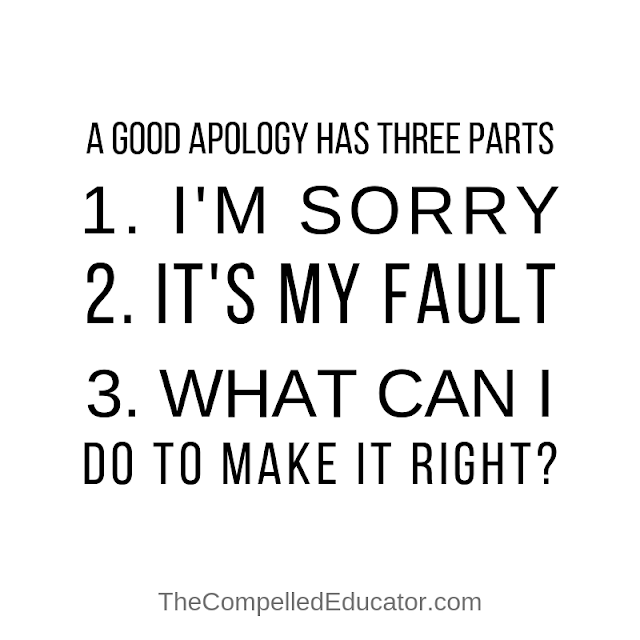 When we do take the step to apologize for a mistake, it creates vulnerability and opens us up to shaming, blaming, and possibly even attacks from the person(s) to whom we're apologizing. In addition to being vulnerable to another person, apologies can also feel like we're admitting that we're not enough, or inadequate in some way. When you apologize, you are opening the door to rebuild trust with another person. 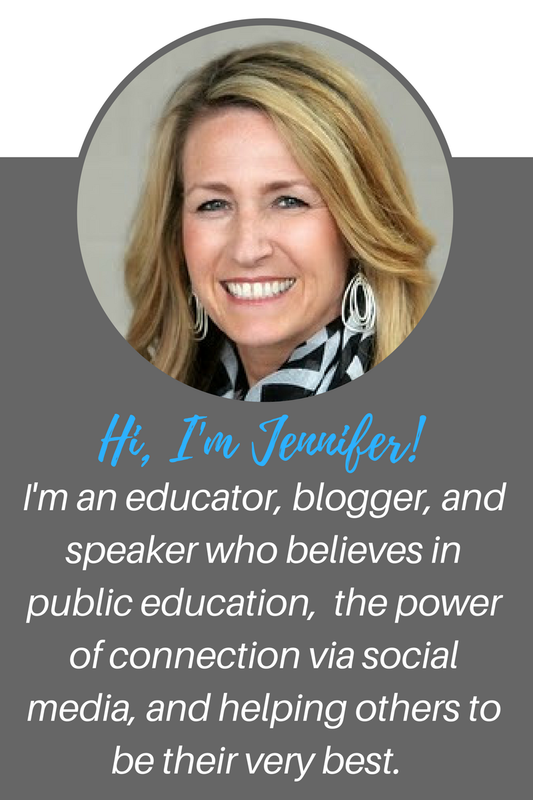 You are creating an opportunity for dialogue about restoration, and you are creating an opportunity to make amends. Don't apologize with the expectation that the other person(s) will forgive you. Prove through your future actions that forgiveness and trust can be earned. 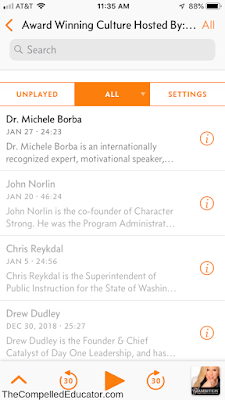 Listening to podcasts has not always been a favorite activity of mine. You see, I enjoy reading the written word. When I have the option of reading a transcript or listening or watching a video, I will always choose the script. 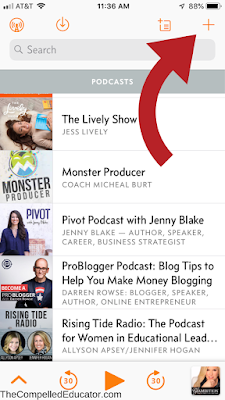 This is ironic, since I recently started recording a monthly podcast with my friend Allyson Apsey. I have also begun to listen to podcasts in when I'm in my car, even though my first choice is to interact on Voxer. 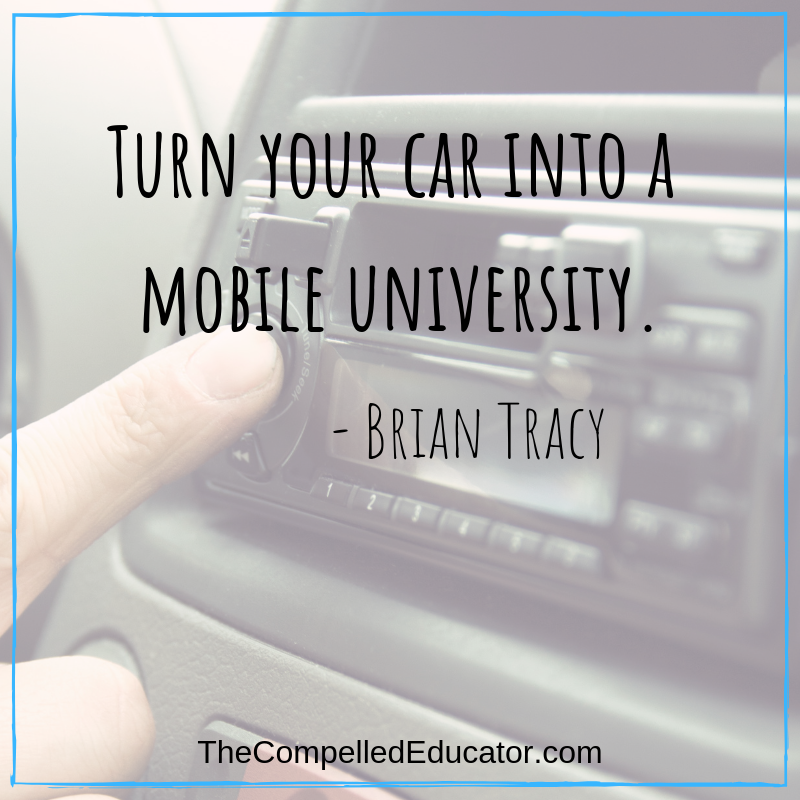 Time permitting, I will listen to podcasts, too, as I try to follow Brian Tracy's advice to turn my car into a "mobile university." 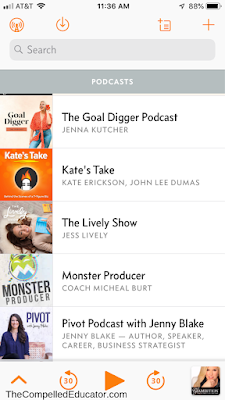 As I researched, I learned that these apps are called "podcatchers," and I found one that I really like. 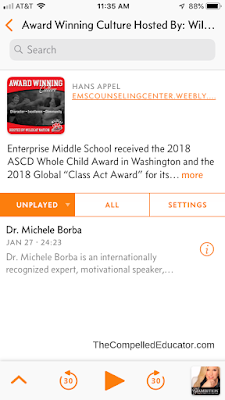 I wanted to share these screenshots with you in case there are some podcasts you want to add to your collection. 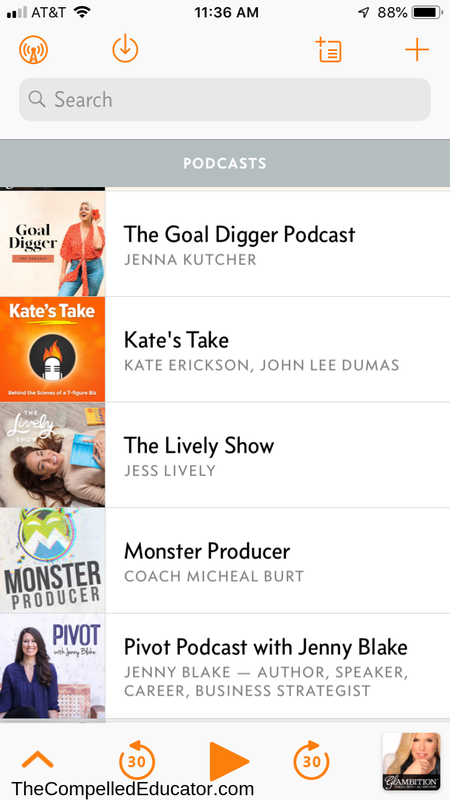 They're all favorites of mine, but I really enjoy listening to Ali Brown and the women she interviews on Glambition Radio. 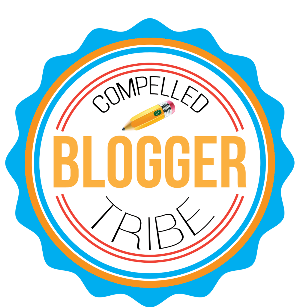 I've got several blog posts marinating right now based on things I've learned from her podcasts. You will see the Glambition Radio podcast at the bottom of each screenshot because that was the last podcast that I listened to. It's another neat feature of the Overcast app so that you can pick up where you left off when you open the app. 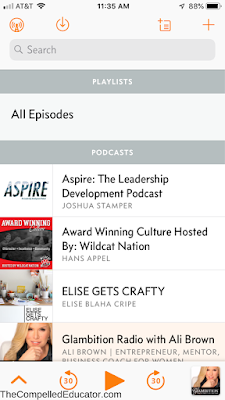 I recently added the student-led podcast that my friend Hans Appel started, called Award Winning Culture, so I thought I would show you how easy it is to add and organize podcasts in the Overcast app. 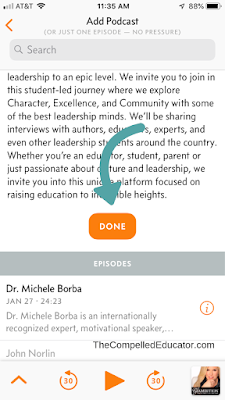 From the main screen, you can click on the "plus sign" in the upper right-hand corner, or even just enter the name of the podcast and do a search. 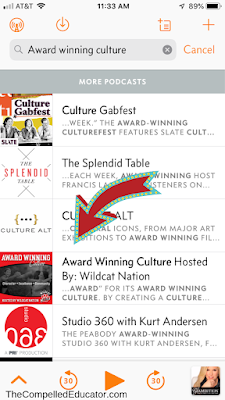 If you click on the "plus sign," you can then enter the name of the podcast or the URL if you have it. Then I clicked on "Subscribe," then "Done." 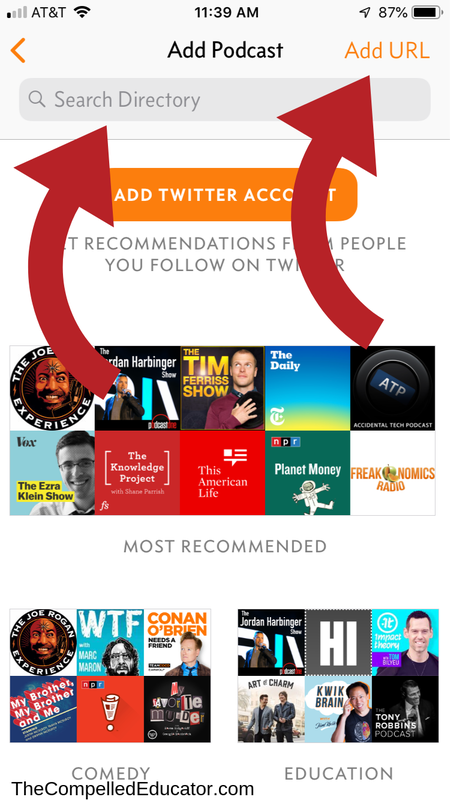 The podcast was added to my list. 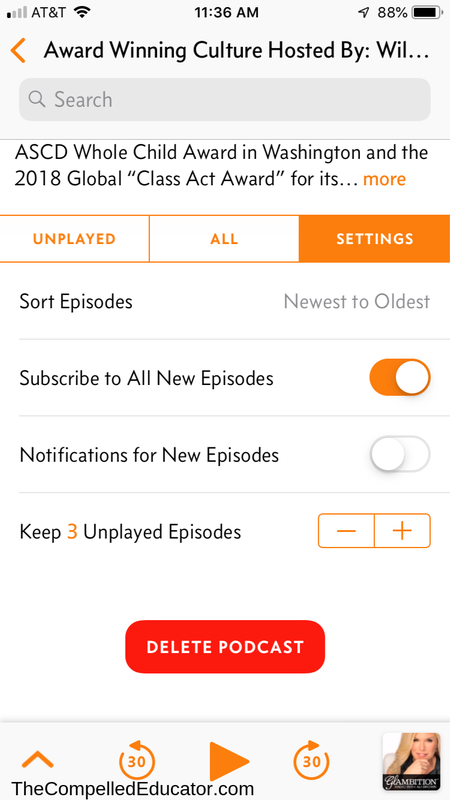 When you open a podcast from the list, you will see choices for the unplayed episodes or all episodes (played and unplayed.) This is a feature I really like, because I like seeing which ones I have listened to in case I want to re-listen to one vs. listening to a new one. When you click on "Settings" for a podcast, you have several options to customize the podcatcher app to your liking. In the app, you can also create playlists (I haven't ventured there, yet), choose whether to download or stream episodes, and use Smart Speed. 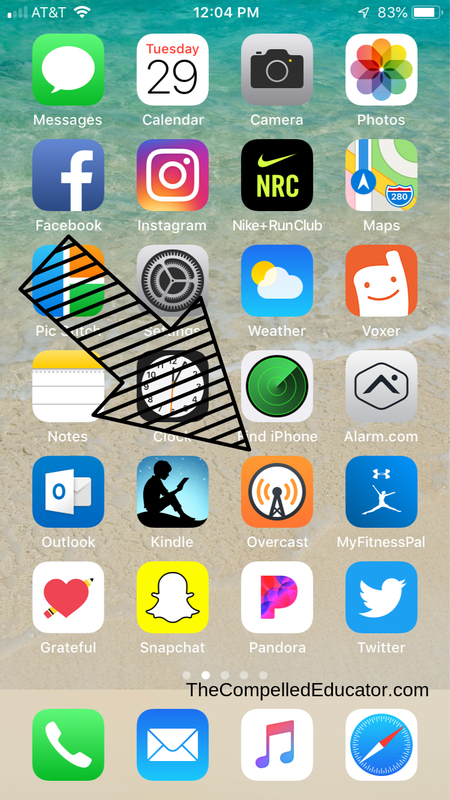 Instead of using 1.5x or 2.0x to speed things up and get chipmunk-like results, Smart Speed dynamically shortens silences in conversations. 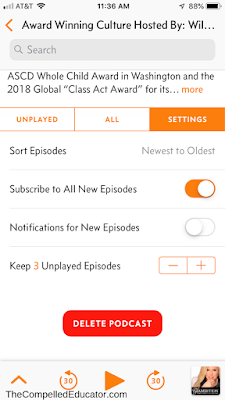 Voice Boost is another favorite feature of the Overcast app, allowing easier listening by normalizing volumes between voices and when listening in noisy situations. 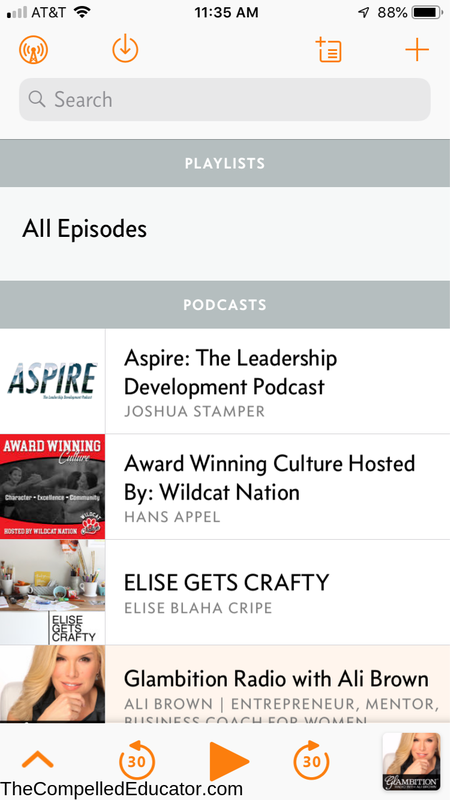 **Since taking the screenshots for this post, there are three more awesome podcasts that I've added to my Overcast app: The In Awe podcast by Sarah Johnson, Transormative Principal by Jethro Jones, and My Bad by Jon Harper.